Fyre Festival was such a colossal disaster it left millions of dollars in debts, much of which is owed to the locals who were never paid. A crowdfunder in the aftermath of two excellent documentaries raised funds for people ‘on the ground’, but there’s still over twenty million dollars in damages to pay. So, of course seized assets will be sold on to try and cover some debt. But what, you might be thinking, did Fyre Festival have to seize and sell? Branded merchandise. A US Marshal told New Hot Hip Hop “We have an assortment of the ‘real thing’ Fyre Festival-branded tee-shirts, sweatpants, sweatshirts, hats, wristbands and medallions” and it’s going to be auctioned. 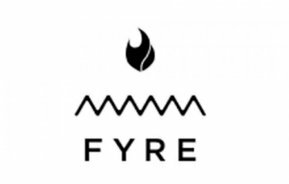 Yes, people can buy Fyre merchandise, which we assume they’ll wear in the ironic manner of a wanker. I mean, given everything the festival is associated with, who’d want a sweatsuit with the logo?